Get a free roofing estimate! Start Now! At Balken Roofing, we believe that the very best in roofing can be an affordable option for YOU! Our experts are standing by to help you pay for your new roof or repairs with the Balken Roofing 5-minute easy approval process. Simply set up one of our free in-home consultations by calling or messaging Balken Roofing, and we will do all of the leg work for you. Once you have an estimate in hand we can get you approved within minutes for one of our great promotional financing offers. We have options for financing your project anywhere from 3 years to 11 years, and interest rates between 5.99% and 9.99% APR. We are now offering a same as cash program with NO MONTHLY INTEREST if paid in full within 18 months! Why do we go through all the hard work of tracking down lenders who will approve you and not charge you any interest? Because we care about our customers! We firmly believe that you should have whatever roofing system you want on your home, and with our great financing offers, now you can afford to be picky, too! The roof over your head is a necessity and it needs to be done right the first time. Due to financial budgets it can be a difficult decision to move forward on any home improvement investment and it’s common for homeowners to make quick decisions based only on price. 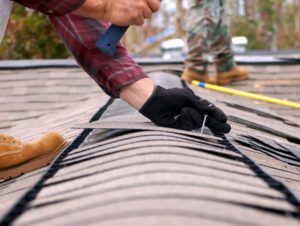 Ultimately, the price is just a small portion when deciding your roofing contractor of choice. 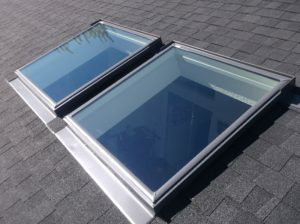 You want to make sure your roofing contractor has a long history of fully satisfied customers and a trustworthy reputation when investing in the roof over your head that protects your investments and your loved ones for years to come. This is the exact reason our team at Balken Roofing wants to ensure you have financing options to be sure to get your roof done the right way the first time. 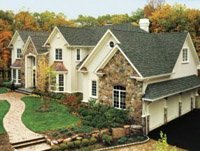 Ask your Balken Roofing representative for details about which payment plan will be best for you. Don’t wait, call Balken Roofing today at (828) 628-0390 to schedule a FREE roofing estimate. Our team here at Balken Roofing has a number of options available to help you protect your investment. In addition to accepting check and cash we also offer financing. We want to ensure you have the financial tools in order to make your roofing project a reality. Provide some details to let us know how we can help you. Feel free to ask a question or simply leave a comment.